A crowd pleaser seen nationwide at fairs and festivals. 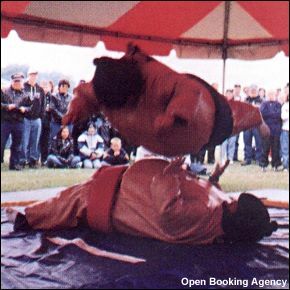 Move around the ring in a heavily padded sumo suit. Your mission is to knock your opponent outside the ring. One-on-one or tag team.